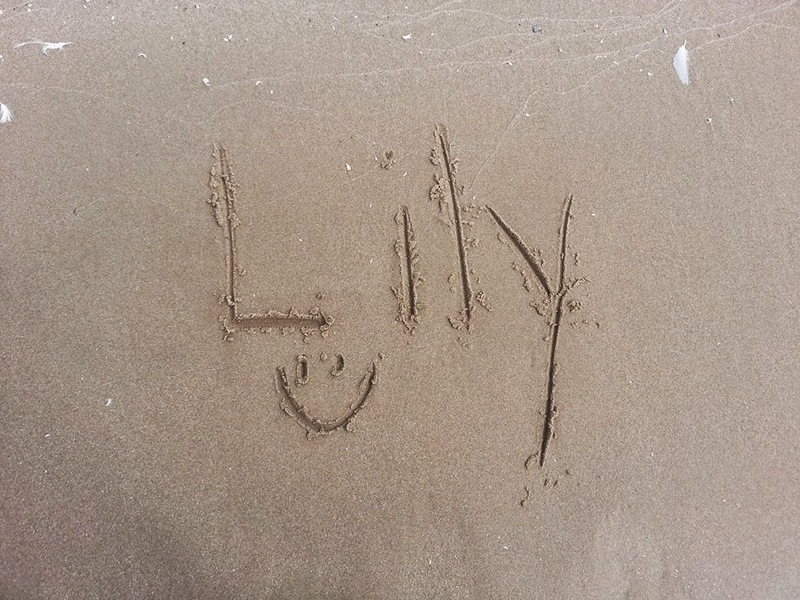 My cousin Daniel's son Owen's grandmother surprised me on Facebook with this photo of Lily's name in the sand in Lake Ontario, Canada! This made my day! It is so incredibly thoughtful of her. I think this is the first time Lily's name has been written in Canada. I love that my girl is being honored all over the world. It amazes me when people think of her that I had no idea they do. Thank you so much, Melissa!